Boone County Office of Emergency Management apologizes for any inconvenience and concern caused by the unintentional activation of severe weather alerts from outside of Boone County. The Boone County Clerk�s Office is in the process of replacing the county�s voting equipment, which was purchased in 2006. In March, the office put out a request for proposals, which included an invitation for voting equipment vendors to participate in a public demonstration so that voters have an opportunity to view and experience the equipment. Boone County will celebrate its Bicentennial in 2020 and work is already underway to create a memorable experience for all citizens of Boone County. The Boone County Bicentennial Committee is asking for community input to help make one of these experiences inclusive of all aspects and all communities of Boone County. The Sturgeon community input session will be held in the Sturgeon Christian Church Fellowship Hall, 200 W. Patton Street in Sturgeon on Saturday, April 27, 2019 at 10:00AM. Boone County will celebrate its Bicentennial in 2020 and work is already underway to create a memorable experience for all citizens of Boone County. The Boone County Bicentennial Committee is asking for community input to help make one of these experiences inclusive of all aspects and all communities of Boone County. The Columbia community input session will be held in the Walton Building Community Room, 300 S. Providence Road in Columbia on Thursday, April 11, 2019 at from 5:00PM-6:30PM. Boone County will celebrate its Bicentennial in 2020 and work is already underway to create a memorable experience for all citizens of Boone County. The Boone County Bicentennial Committee is asking for community input to help make one of these experiences inclusive of all aspects and all communities of Boone County. The Hallsville community input session will be held in the Mercantile Building located inside Tribble Park behind the Morganthaler House in Hallsville on Thursday, April 4, 2019 at 6:00PM. 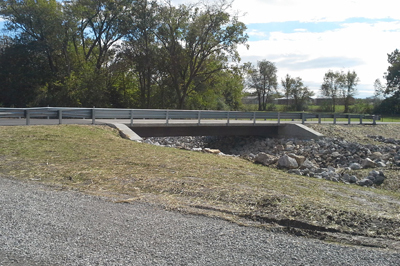 The Engineering Division of Boone County will host an informational meeting on 2019 Road Projects on Thursday, April 4, 2019. The meeting will be open house style and is open to the public from 5:30PM until 6:30PM in the Commission Chambers on the first floor of the Boone County Government Center, located at 801 E. Walnut in Columbia. Attendees are asked to enter through the west door located near the intersection of 8th and Ash Streets. Boone County will celebrate its Bicentennial in 2020 and work is already underway to create a memorable experience for all citizens of Boone County. The Boone County Bicentennial Committee is asking for community input to help make one of these experiences inclusive of all aspects and all communities of Boone County. The Harrisburg community input session will be held in the community meeting room of the Harrisburg RVIII School Administration Building, 1000 S. Harris Street, Harrisburg, on Monday, March 18, 2019 at 6:00PM. Dan Knight, the Boone County Prosecutor, has completed his review of the shooting death of Ahmonta Harris. He has sent a letter to Detective Chris Lester of the Boone County Sheriff's Department, which is below. Brian McCollum, Boone County Collector of Revenue, wishes to remind taxpayers that Boone County property taxes are due December 31, 2018. 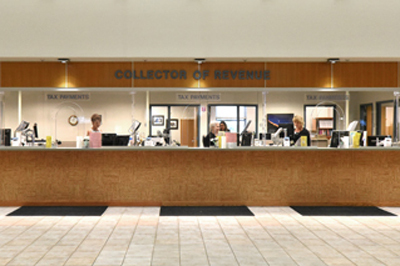 If taxpayers have not received a property tax statement, they should contact the collector's office immediately.